Bhubaneswar, Aug 2: As part of its Urban Lectures Series Bhubaneswar Development Authority (BDA) will organise the fourth of its lecture series on ‘Road Safety Improvement – Lighter, Quicker and Cheaper (LQC) approach’ for two days, starting August 4, in which apart from the theory-based approach, experts, citizens, volunteers and artists will participate to create a model traffic intersection at Rupali Square on Janpath. The LQC feedback, if comes as an encouraging one after the Rupali Square experice, would also be considered for implementation in the Smart Janpath Project. The later is a Smart City project spanning over 5.8 km stretch on Janpath between Vani Vihar and Sishu Bhawan Square and would ensure a safe gateway for kids, elderly and women with adequate elements and provisions for liveable city environment. The LQC or lighter, quicker and cheaper approach will include painting the intersections with varied and eye-catching colours to attract the attention of the commuters and by using some cones and barricading structures so that the safety rules would be followed as a model junction at the important and famous location, which is known across the state capital. After a day-long discussion on the road safety measures at the BMC Conference Hall on August 4 with participants from BDA, BMC, PWD, Commissionerate Police, Transport Department, members from the Road Safety Society, BSCL and BUKC and several child leaders will agree upon a final design of the implementation model for Rupali Square, which will come under the creative brush of volunteers, interested citizens, artists and members of BUKC so that the shaping up of the square starts at Rupali after 10 o’clock at night and would continue till 4 am August 5. World Resources Institute (India) will be the knowledge partner in this unique project, which will be implemented during the night hours and continue beyond the midnight so that people after waking up would come and experience a lovely surprise with elements of road safety at Rupali Square. This LQC intervention would remain there for more than 30 days at the square. This LQC model of the road safety intervention at Rupali Square would introduce the road situation in Bhubaneswar and identify vulnerable groups of road-users that would help to establish the necessity of looking beyond the conventional remedies of reducing road fatalities. It would also to try explaining the tools and techniques used in assessing the safety – road safety audits and inspections with explanation and detailed design guidelines. 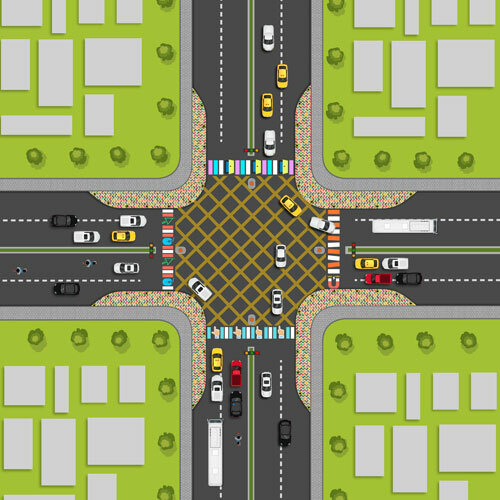 Detailed design of Rupali Square intersection with the appropriate accommodations for all users having a significant place-making function as well as a transportation function would be incorporated. For example, the commonly used signs in social media could also be painted on the road to make a great impact. Implementing the design at the intersection with people for shared objective of creating safe urban-streets, empowering people to build public spaces, and encouraging creative ideas for safer roads are the objectives of the two-day-long activity based live workshop. Already artists groups associated with city beautification and volunteers working with the city have given their consent for the mid-night road safety-based activity at Rupali Square as it would bring a first of its kind experience to the city. 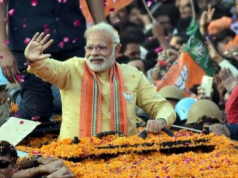 Already in the past such experiences were carried out at Vijay Char Rasta in Ahmedabad, Bandra Intersection in Mumbai and TV Swamy Junction and DB Road. After the Rupali Square intersection is prepared as per the LQC plan, the second day of the workshop on Saturday will discuss the issues associated with road safety.